• Chassis Chatter… The No. 88 ThorSport Racing team will unload chassis No. 51 for Thursday night’s Buckle Up In Your Truck 225 at Kentucky Speedway. This is the same chassis Crafton piloted at Atlanta Motor Speedway (AMS) earlier this season, and has since been rebuilt for Thursday night’s 150-lap race. At AMS earlier this season, Crafton started on the pole, and led the field three times for a race-high 76 laps, but finished 30th due to a late-race accident. • Off-weekend Fun… Crafton raced an IMCA Modified at Willamette Speedway, a 1/3-mile dirt oval, in Lebanon, OR during the July 4th weekend. • Intermediate Icon… No current NASCAR Camping World Truck Series (NCWTS) driver is better at Intermediate tracks than Crafton. Dating back to 2014, Crafton has finished in the top-10 in 19 of the last 21 races at ovals measuring 1.5 or 1.54 miles. Included in that stretch are seven wins, and five runner-up finishes. 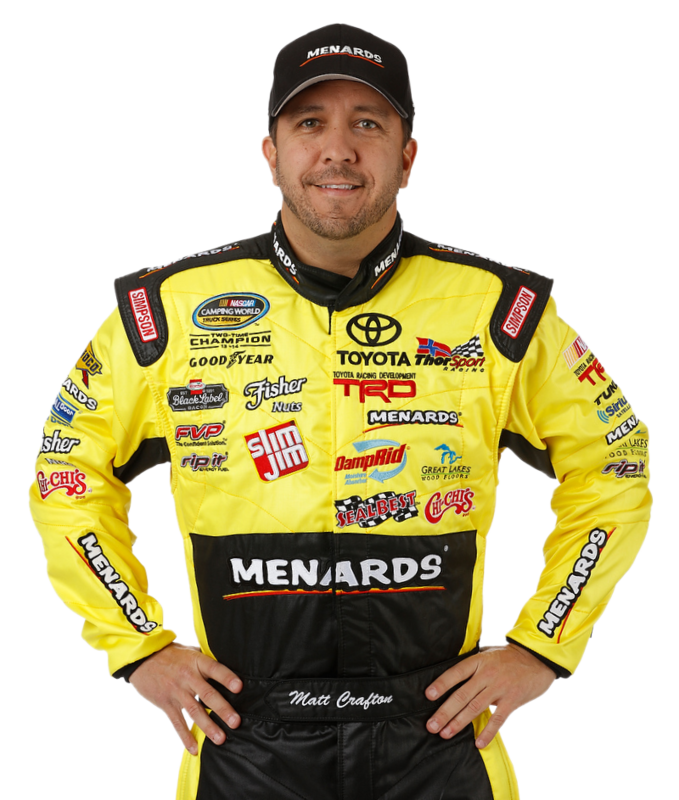 • Bluegrass State Stats… Among active series drivers, Matt Crafton has the most starts at Kentucky Speedway (17), has completed the most laps (2375), has the most top-five finishes (5), has the most top-10 finishes (12), has the most lead lap finishes (11), and is the defending race winner. • Chase Status… Crafton is currently second in the 2016 NCWTS driver point standings after nine races this season, with a one-point deficit over first-place William Byron. As one of two drivers with multiple wins this season, the two-time NCWTS champion is all but guaranteed a spot in the eight driver chase which kicks off at New Hampshire Motor Speedway in Loudon on September 24. • In The Loop – 2016… According to NASCAR’s Loop Data statistics, Crafton ranks first in the following categories; Average Running Position (6.02), Driver Rating (113.6), Fastest Drivers Late in a Run, Fastest Laps Run (210), Laps in the Top-15 (1433), Laps Led (398), and Mile Leaders (565.54). • In The Loop – Kentucky… According to NASCAR’s Loop Data statistics, Crafton ranks first in Laps in the Top 15 at Kentucky Speedway (1487), second in Laps Led (79), and sixth in Driver Rating (92.1). • Kentucky Rewind – 2015 … The ThorSport Racing driver started first, led the 32-truck field three times for 45 laps, and won the 145-lap race-shortened event. His first career win at the 1.5-mile track. • Race Rewind – Gateway… Making his 13th career start at Gateway Motorsports Park, Crafton started 14th, ran as high as second, but was involved in a late-race accident on lap 150 of 160, relegating the two-time 2016 NCWTS winner to a 27th-place finish. • Major Milestone… The Tulare, California native extended the NCWTS record for consecutive starts to 370 in the Drivin’ for Linemen 200 at Gateway Motorsports Park, passing four-time NCWTS champion Ron Hornaday, Jr with 360 starts in the 2015 NCWTS season finale at Homestead-Miami (Fla.) Speedway. Crafton made his series debut at Auto Club Speedway in November 2000, and enters his 16th full-time season in the NCWTS, and his 15th full-time season with ThorSport Racing in 2016.